At any given moment, there are at least ten different tubes of mascaras bouncing around my makeup drawer. There always have been, and I estimate that there always will be. My mascara collection most likely started on my quest to find the perfect formula — and remains to this date because, as we have all probably discovered, there is no one-size-fits-all mascara. Some days we want bold, inky-black lashes for days, and other times we crave naturally pretty. Check out my completely honest review of 8 of my tried and true blends — from brushes to formulas to the advertising’s promises, I’ll let you in on which products deliver and which to skip. What Sets It Apart: With “40% less harsh waxes” making up its formula, you won’t get that clumpy, crunchy look — no matter how many coats you pile on. When To Use It: This mascara has become my new daily. Pros: The lightweight feel really is noticable. You forget how great your natural lashes feel when they are being weighed down by gloppy mascara. This one gives you all the color, volume, and length you could ask for without the mascara being obvious. Cons: Even when I think I’ve taken all my mascara off at night, sometimes I wake up with dry, irritated eyes — the sign that I missed some. I don’t know if this is because it leaves behind some sort of invisible residue, or just because the formula is naturally water-resistant, so you have to pay more attention to its removal. 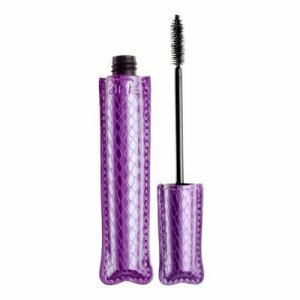 What Sets It Apart: Enriched with lash-grabbing fibers, this mascara is supposed to fan out your lashes with minimal effort. Because I tested it out in a color, I was hoping for a total colored-falsies effect, which I didn’t get because of the pigment saturation. 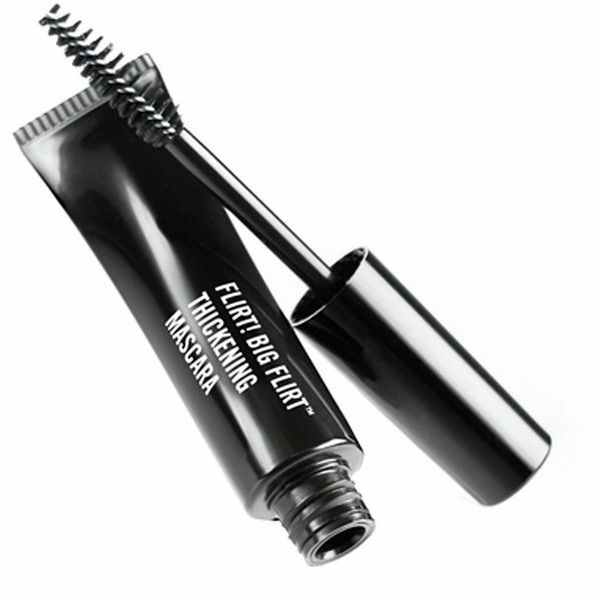 When To Use It: I picked up this mascara specifically for the color, and I use it as a topcoat over any regular black mascara for a subtle pop of color. Pros: A few strokes of this on the tips of your lashes, and you’ve got a flirty style. When it catches the light, the unexpected flash of color is really striking. Cons: The color is not strong enough on its own, so if you really wanted to coat your lashes in violet, you would have to go to town with the applications. What Sets It Apart: “No lash can escape!” boasts the tube. A jumbo brush makes sure that each little tiny lash is swept up into a fan of inky-coated falsie-esque lashes, minus the clumps. When To Use It: You can easily make this your everyday mascara without looking like a drag queen (I did!) — just go lightly. Otherwise, save it for your most dramatic moments. Pros: This mascara washes off in a flash! You don’t even need makeup remover to get it off, it will melt away immediately in the shower. When To Use It: Use this formula when you want your most natural look. It’s truly buildable, so an extra coat takes it from natural to stunning. Pros: It’s not 100% waterproof so it washes off eaily, but it survived 95 degree temperatures with 90% humidity at the gym. Another perk: most mascaras have more packaging and less actual product — this one has 5g of mascara in a tiny case: more bang for your buck and less waste. Cons: The brush is tiny and the eye-dropper top makes it difficult to wield, especially with your non-dominant hand. What Sets It Apart: The rubber bristle brush grabs the tiniest of lashes, drawing them all upward and combing through them to avoid clumping. The black brown shade is less harsh than traditional black, so it gives you the color definition while looking a little more natural. When To Use It: This one is great for layering, so you can wear a light coat all day and kick it up when you’re heading out at night. I found that this one works best with the Flirt! color topcoat, as well. Pros: Definitely great on the volume, no doubt about it. Cons: It’s purely volume, not so spectacular on the length. If you need lengthening and volume, look elsewhere. What Sets It Apart: It does 4 things: lengthens, curls, volumizes, and conditions your lashes. Clinical trials say it increases lash volume by 330%. When To Use It: Always, for everything. It’s great. Pros: The most noticable feature is how it curls my lashes. I never use a lash curler, so I appreciate that this wand makes it look like I do. Cons: After having a tube for maybe 2 months, this one started going flaky on me. Either I got an old one, or the shelf life’s not so great. What Sets It Apart: No flaking, no clumping, all lashes. It’s supposed to add 20x the volume. I’m not measuring, but that sounds about right. When To Use It: This one is great for daily use. I find it difficult to add on extra coats after the first has dried, so it’s probably not best for kicking up your look at night. Pros: It stays on forever. For. Ever. Foooooorrrrreeeeevvveerrrr. Cons: My usual complaint about it sticking around into the next morning –even after diligent scrubbing with heavy-duty makeup remover — definitely applies here. Just take the extra time to cleanse: it’s worth it! What Sets It Apart: I was so excited to try out this shade because 1) Dolce & Gabbana and 2) wine colored lashes? Who am I, Gwyneth Paltrow? Too much luxe to handle! What I really found is that this mascara is the worst I have ever used. When To Use It: Never. Seriously, ladies: save your money. Pros: The color’s still really pretty. But leave it on the brush. Buy the shade in a nail polish. Cons: Everything else. When I applied this mascara, it made my lashes look shorter and stumpier than before. No thank you. So, what do you think? Which mascara is YOUR favorite? Let me know about it here — and I’ll certainly add it to my growing makeup drawer!